NoSQL databases like Cassandra and MongoDB are designed to support massive data processing and storage. Cassandra database systems are highly scalable and fault-tolerant. Hence, Cassandra clusters with a multitude of nodes can greatly increase the complexity of your data infrastructure. 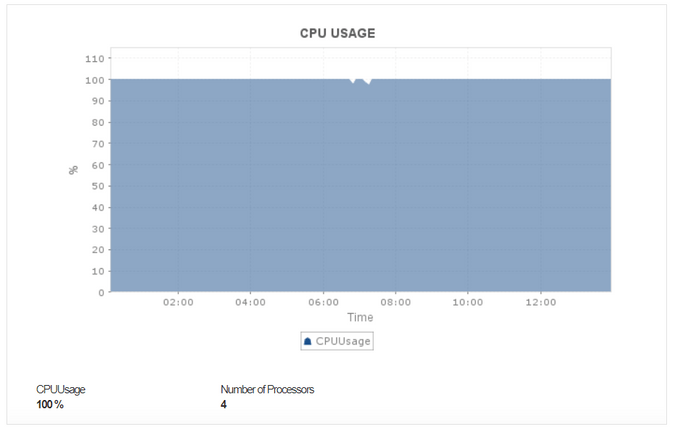 Understanding the performance of your Cassandra clusters is critical for diagnosing issues and planning capacity. Applications Manager enables comprehensive Cassandra performance monitoring and administration of all nodes in a cluster from a centralized console. 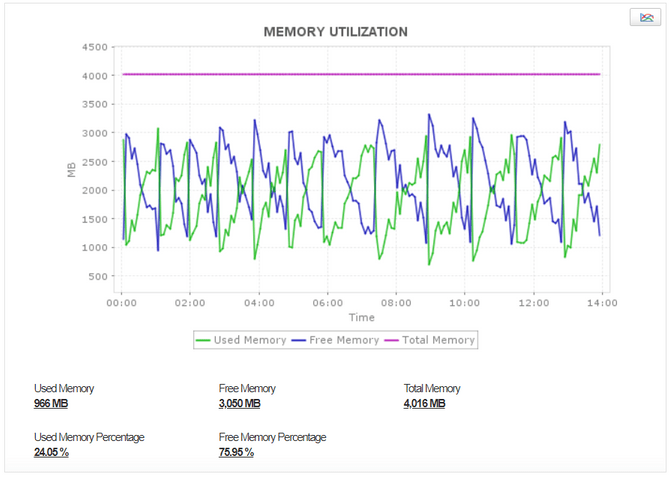 You can collect statistical data from all JVMs in a cluster and key performance metrics like memory utilizations statistics, task statistics of thread pools, storage statistics, CPU usage, operation performance, latency and pending tasks. You can continuously monitor database clusters with Applications Manager's dashboard detailing the health, availability and performance status of all monitored clusters. Retrieve details on live, leaving, moving, joining and unreachable nodes and monitor the health of nodes within each cluster. Cassandra databases consume a lot of memory and applications performance issues may result if your RAM is not sufficient. Applications Manager closely monitors the memory consumption of your applications running on the Cassandra environment and displays the used, free and total memory of the server in megabytes. Like with any other database system, Cassandra performance depends on the underlying systems on which it runs. Applications Manager tracks operating system metrics on your Cassandra nodes like the number of processors, exceptions, CPU utilization and time trends. This can help you identify and troubleshoot hardware-related performance problems. If you have significant amounts of data, monitoring and predicting disk space usage is no simple task. Disk space usage can vary fairly over time within a Cassandra environment. 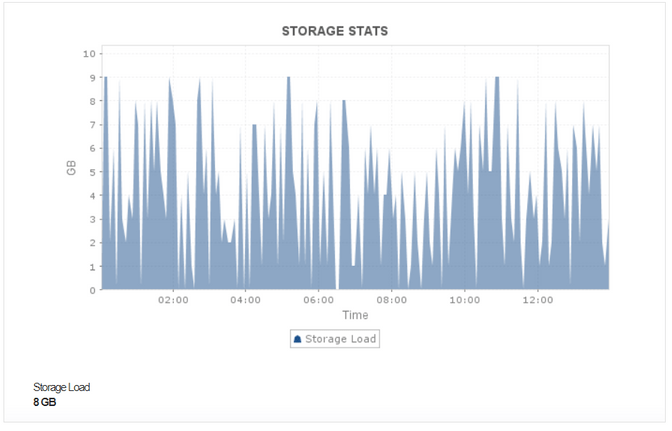 Applications Manager monitors disk utilization and storage statistics over defined time periods to help identify and remedy performance issues. 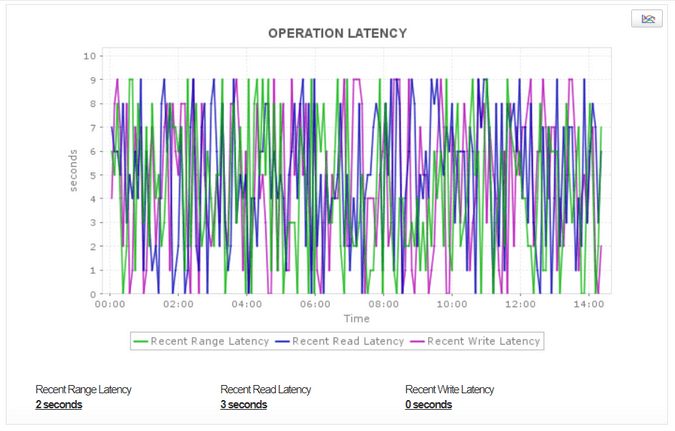 Track operations stats and latency (averages and totals) of range, read and write operations per second at the server level. The recent read latency and write latency counters are important for making sure that operations are happening in a consistent manner. Applications Manager also tracks the number of completed compactions since the last start of a Cassandra instance, pending and other compaction tasks waiting in the queue to be executed. Monitor the behavior of thread pools and task statistics. Applications Manager monitors distinct Cassandra thread pools and provide statistics on the number of tasks that are active, pending, completed and blocked . Monitoring trends on these pools for increases in the pending tasks column can help you plan add additional capacity. Applications Manager can help you deal with overload scenarios in your Cassandra environment by keeping a lookout for dropped messages. You can recieve a log summary of dropped messages along with the message type. You can establish thresholds and configure alarms to notify you of dropped messages. Applications Manager can also monitor the application servers, servers - physical or virtual and traditional databases that are normally used along with NoSQL databases in the real world.